If you have any questions or would like to arrange fixtures with any of the age groups, please contact our Fixtures Secretary Greg Arlotte on 07917 691541 or via email youthfixtures@barfc.co.uk. 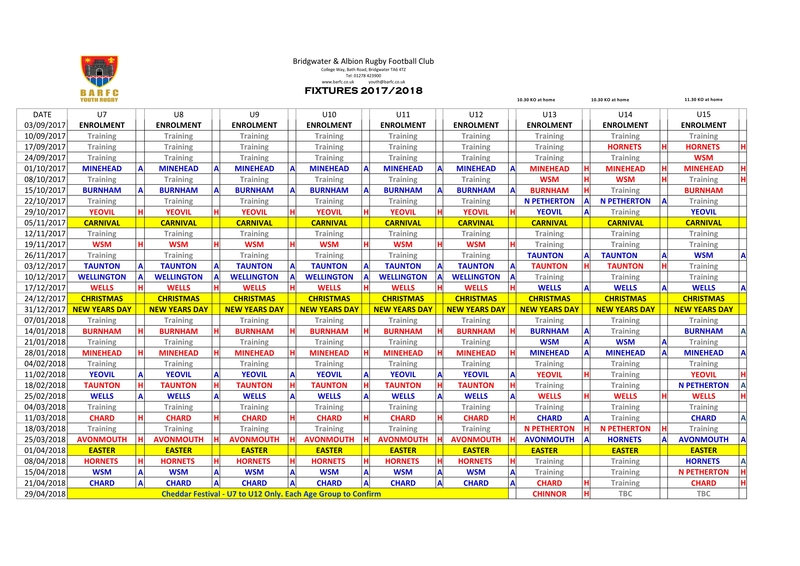 Please note that all fixtures are subject to change at short notice due to various reasons such as unavailability of opposition teams, bad weather etc. – if you have specific questions relating to your age group(s), please contact your Team Manager(s).